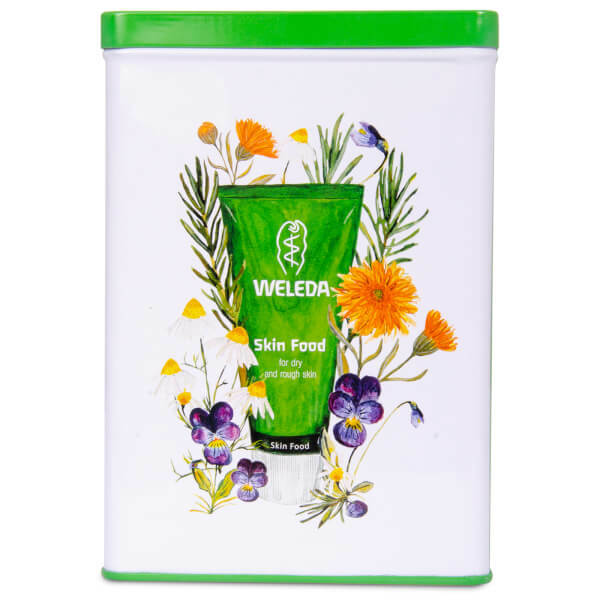 Transform dryness, flaky patches and areas in need of extra care with the Skin Food Saviour Gift Tin Set from Weleda. Synergising the brand's skincare expertise and natural ingredients, the ten minute mask treatment and organic cotton flannel repair and revitalise to leave you with silky soft, moisturised skin. A replenishing, skin-repairing cream developed to combat dry, flaky skin. 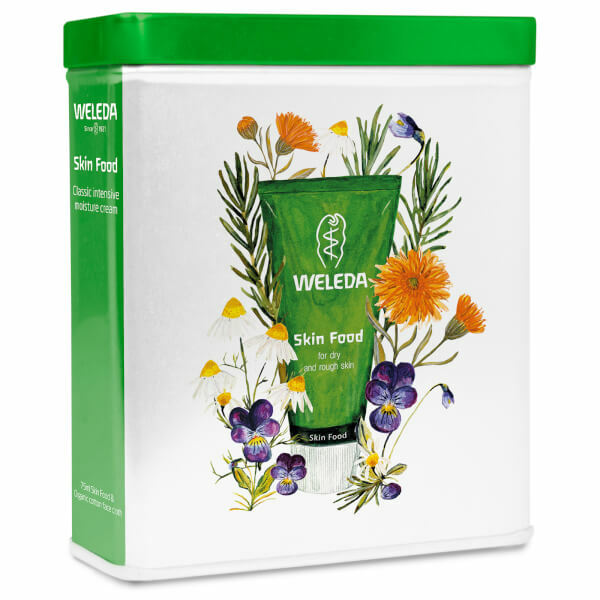 Ideal for use on the entire body, including hands, feet and elbows, its powerful formula is infused with organic sunflower seed oil and extracts of wild pansy, chamomile and rosemary to energise tired skin, leaving you feeling refreshed and revitalised. Deeply nourishing and protecting, the hydrating treatment shields against environmental aggressors to leave skin touchably soft and comfortable. 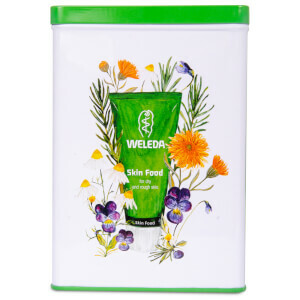 To be used with the Weleda Skin Food, simply wet the flannel under warm water and place it over the face to open pores. Apply a thin layer of Skin Food onto clean skin and relax for ten minutes. Gently remove excess cream with the warm flannel and experience hydrated, restored skin with a healthy glow.